Ears, nose and throat are located close to each other and though they have separate functions, they are related to each other. Ears and Nose are the sensory organs and are essential for the senses of smell, hearing and balance. The throat, on the other hand, functions as a pathway through which your food and fluids travel to the hollow tube from throat to the stomach i.e. the Esophagus. It also facilitates air passage to the lungs. At Fortis Escorts, we have a highly skilled and efficient team of doctors who use latest technologies and equipment to perform ear and cochlear implant, skull base surgeries andendoscopic nasal surgeries. 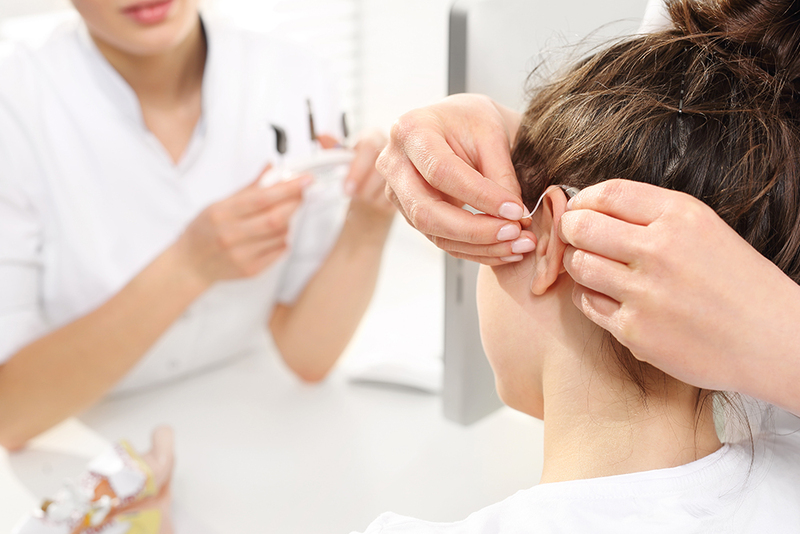 We also specialize in the treatment of ear, nose and throat conditions in adults and children with problems in ringing in the ears, hearing and deafness and cancers of the ENT. The hospital boasts state of the art equipment with latest technologies in this field and the team is updated regularly to keep up with them. At Fortis Escorts Department of Speech Therapy, all sorts of speech problems including swallowing problems, communication impairments and cognitive impairments are treated and diagnostic testing for them are conducted. People of all age groups, from infants to the elderly can find comprehensive and state of the art facilities to improve any sort of speech impairment and other speech related problems. The Department of Audiology provides complete and effective treatment and assistance in aiding hearing loss for all age groups alike. Our hospital has a dedicated staff of excellent doctors that aims to provide comprehensive treatment in order to enhance communication skills and improve the overall quality of life. Our professionally trained audiologists guide numerous families and patients with suitable guidance and appropriate care. Fortis Escorts’ sleep lab provides effective and helpful treatments for those suffering from sleep apnoea and other sleep disorders. The hospital offers a state-of-the-art sleep lab. This Lab is equipped with cutting edge technology to monitor breathing and movement of patients and sleeping pattern along with any other sleep disorders. A procedure that helps relieve benign paroxysmal positional vertigo (BPPV) – A condition in which a person has brief but intense, episodes of dizziness that occur during the movement of head. The cause of BPPV occurrence is breaking and falling of tiny particles called Otoconia into the canals of your inner ear. The canalith repositioning procedure can help move the otoconia to a part of your ear so that they don't cause dizziness anymore. Ear tubes refer to tiny cylinders, usually made of metal or plastic, that are surgically inserted into the eardrum to create an airway that ventilates the middle ear and to prevent the accumulation of fluids behind the eardrum. It is a test that determines how well your esophagus works. Esophagus is the long, muscular tube that connects your throat to your stomach. The procedure calculates the rhythmic muscle contractions (peristalsis) that occur in the esophagus during swallowing. It also measures the coordination and force exerted by your esophagus muscles. This procedure widens your windpipe (trachea) to make breathing easier. It involves inserting a small piece of cartilage into the narrowed section of the windpipe and is done to provide a safe and stable airway without the assistance from a breathing tube. The procedure is done to change the shape, position or size of the ears. A person may choose to have otoplasty if the ears are misshapen due to a birth defect or an injury or if you're bothered by how far your ears extend out from your head. It is a surgery to treat obstructive sleep apnoea. It is a potentially serious disorder in which breathing is interrupted repeatedly during sleep. The procedure is also helpful in relieving habitual snoring. Relaxation of muscles at the back of your throat can result in snoring and obstructive sleep apnoea. Also known as sleep study, polysomnography is a test used to diagnose sleep disorders. It involves recording of your brain waves, heart rate and breathing, eye and leg movements, as well as oxygen level in your blood during the study. In addition to helping diagnose sleep disorders, the procedure can also help you adjust to your treatment plan if you've already been diagnosed with a sleep disorder. It is a surgical procedure to correct a deviated nasal septum — a displacement of the bone and cartilage that divides your two nostrils. This procedure is done to straighten your nasal septum and reposition it in the middle of your nose. When the usual route for breathing is obstructed or somehow impaired, a tracheostomy is performed to provide an air passage to help you breathe. It is needed when health problems require long-term use of a machine (ventilator) to help you breathe.